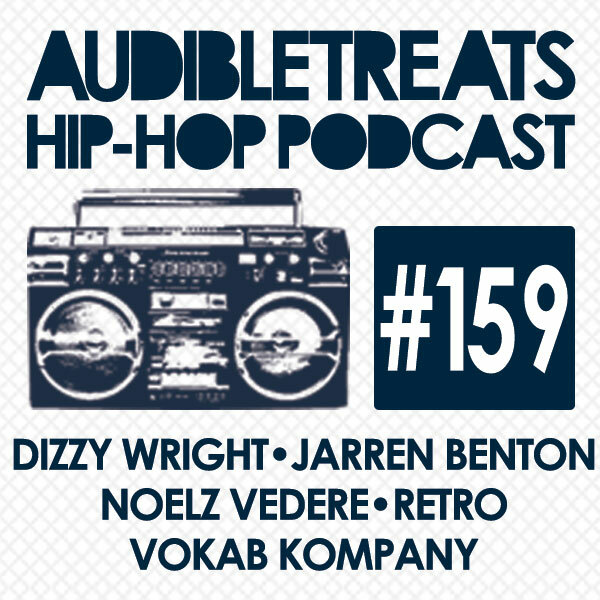 In this week’s episode of the Audible Treats Hip-Hop Podcast you get a chance to hear the latest hits from our artists. Kicking off the podcast we have Noelz Vedere’s new track “Censored Love” the fourth single off of his new album Bittersweet Victory. Noelz shares his thoughts in the song on what true love should be, along fellow Chicago songstress and former American Idol contestant Kiara Lanier. Following Noelz we have XXL 2014 Freshman and Funk Volume all-star Jarren Benton’s single “Pain In My Eyes.” The track made its premiere on the XXL Freshman mixtape alongside the single “Gimmie The Loot” for which he released a video in March. Jarren is also currently on a 70-date tour with Tech N9ne and Freddie Gibbs. Next up, we have Funk Volume labelmate Dizzy Wright and his trap-flavored single “Spark Up The Flame.” Perfect for any house party “Spark Up The Flame” follows Dizzy’s new brILLiant youth EP, which is a collaborative project between Dizzy, Bishop Nehru, and 9th Wonder. Dizzy is also currently on his State of Mind Tour and is performing dates all over the West Coast and Southeast this summer. After Dizzy we have Audible Treats’ new signee RETRO with “Resist,” the first single off of his forthcoming mixtape “The Six.” Ending the podcast we have Ineffable Music Group artist Vokab Kompany teaming up with producer Knight Ryderz and MC Siya to release their EDM jam, “Show Up.” The track is the second time Vokab Kompany has teamed up with Knight Ryderz and features them both at their best. Stay tuned for more.